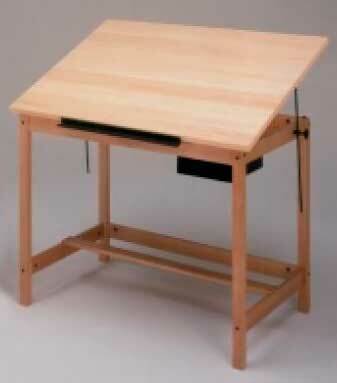 I badly need a drawing table for my kids. It should also serve as their study table. They are using an old computer table at the moment, but it’s too small to accommodate their school books and other items while studying. My daughter needs a drawing table to avoid stooping down while doing her homework or sketching. The drawing table need not spacious to have a room for 5.1 speakers, but a space enough to hold extra books and stuff. This entry was posted in Art Stuff, Kids and School and tagged drawing table, study table on July 14, 2011 by Yami.